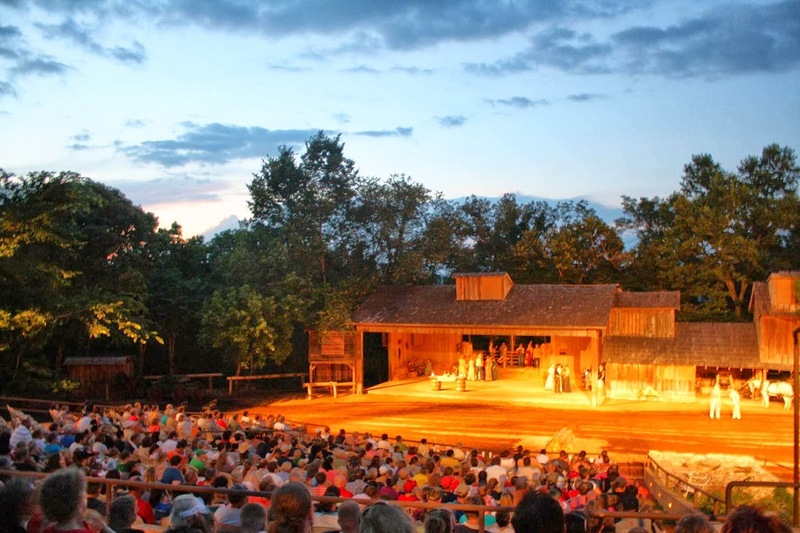 The Shepherd of the Hills Outdoor Drama is one of the most popular attractions in Branson that is beautifully laid out in such a way that every audience enjoys a comfortable seat in the amphitheatre. The set in the open field of the Outdoor Drama is huge and wide. The set of the show features open square dance floor, a small cabin, an antique gristmill, a steam engine replica, and more. The set also features entrances that will make you wonder where to enter to see the characters ride up and run out next. The drama is a re-enactment of the story in the book of Harold Bell Wright titled Shepherd of the Hills. Your visit to Shepherd of the Hills, will also give you the opportunity to enjoy a homestead tour in a tram that will take you around the set of the outdoor drama. The story will surprise you with many twists and turns and will leave you confused about the things to happen next. The drama is about the story of Dad Howitt, a newcomer to the Ozarks with a kind heart but with a troubled past. The native people in the Ozarks hills are deeply interconnected with the past and future life of Dad Howitt. Some of the natives in the Ozarks include Old Matt, a giant mountain man with sad memories; Sammy Lane, a beautiful backwood girl with the mind of a lady but with a spirit of a rebel; Little Pete, a boy with a surprising parentage; and many other folks in the hills. The drama not only features actors and actresses, but also horses. Wash Gibbs, who is a troublemaker in the neighborhood will show a good impression as he rides on a big white horse (known as Egor around the barn). A horse with blue eyes, Ace, and Twister with a crooked ear, portray the play both as Baldknobber horses. A beautiful girl Sammy Lane makes a quite ride entrance on her white pony, Smokie. During intermission, you can have the chance to be a part of the show – Old Matt will invite some of the audience to come down on stage to join the party. Another beautiful attraction at the Shepherd of the Hills is the Homestead Tour which gives visitors the opportunity to hop on a jeep-drawn tram for a guided tour in the homestead. On this tour, you will visit the original home of the main characters in the book called Old Matt’s Cabin. This home still sets in the original location made of log cabin. During the tour, the visitors can have the chance to visit the Inspiration Point, a monument that marks the spot where author Harold Bell Wright camped while compiling the notes for his book. Here, you can see carved statues of six man characters of the Shepherd of the Hills book that stand on Inspiration Point. So, if you want to see an action-packed outdoor drama that is portrayed from the famous book of Harold Bell Wright, visit the Shepherd of the Hills in Branson.